Cody is passionate about the task given to us in Ephesians 4:12 – “to equip the saints for the work of ministry, for building up the body of Christ.” As Pastor and Head of Staff, Cody tries to apply that passion in a way that honors Jesus’ call to be servant leaders (Matthew 23:11-12). Cody was born in Austin, TX and graduated from the University of Texas with a degree in computer science. After working as a computer programmer, he felt the call to ministry and attended Austin Presbyterian Theological Seminary. Cody previously helped start a church in Austin before going to the First Presbyterian Church of Bethlehem, PA. He served there for five years as Discipleship Pastor and one year as Pastor for Executive Duties. Cody came to Littleton in April of 2015. Cody is blessed to be married to his wife, Becca. They have two sons, Charlie and Caleb. Cody enjoys playing basketball, tennis, and most other sports, and he still has fun programming computers as a hobby. 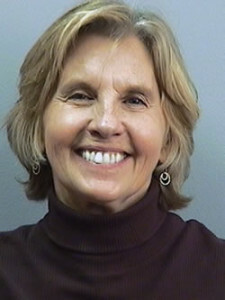 Carol Parsons entered The Iliff School of Theology in Denver, Colorado in 2001. Her first day of class was September 11. Her last day in the corporate world was Good Friday 2002. She received her Masters of Divinity with Distinction in 2005. She was ordained as a Ministry of the Word and Sacrament in the Presbyterian Church of the United States of America in 2008. 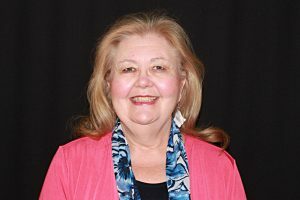 Reverend Carol Parsons serves as the Director of Congregational Care at First Presbyterian Church of Littleton. Her greatest hope, and compassionate advocacy, are for every person to feel cared for, connected and empowered. God’s grace and transforming love are at the heart of her ministry. In addition to her gifts for pastoral care, she is passionate about preaching, teaching and spiritual development. Along with her church ministry, she has served as an on-call chaplain at Exempla St. Joseph Hospital in downtown Denver for eight years. Reverend Parsons qualifies as a transplanted native because she’s lived in the metropolitan Denver area since 1970. Born in Abbeville, Louisiana, she resided there until she was six years old when her family moved to Mankato, Minnesota. She stayed in Minnesota until moving to Colorado as a young adult. Her Master’s of Education is from the University of Northern Colorado, Greeley. She enjoys getting out into the Rocky Mountains, cooking outside or inside, gardening, reading and writing poetry. James has been a long-time volunteer with the youth group. As we search for a new Youth Director, James is continuing the run the middle school and high school youth groups. Mary brings a wealth of enthusiasm and experience to the Chancel Choir at First Presbyterian Church of Littleton (FPCL). She has been a music teacher and school administrator for 27 years. Mary is well-known in the Denver metropolitan area for her work as a music director for main stage and children’s theatre productions. She was honored in 2011 with a prestigious Henry Award for Music Direction by the Colorado Theatre Guild. A native of Iowa, Mary is a graduate of Wartburg College with a bachelor’s degree in music education. Her emphasis was in voice and accompanying. She also has a master’s degree in Education and is certified as a K-12 administrator in Colorado. She has two sons, Christopher and Matthew, both in the entertainment industry. Mary encourages anyone who has an interest in singing to join the Chancel Choir. You will make wonderful friends, it’s fun and we bring a special joy to the worship services. 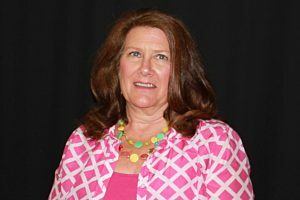 Karen Meersman is the director of three choirs at First Presbyterian Church of Littleton (FPCL); the Memorial Handbell Choir (adults), The Tintinnabulation “TNT” Ringers (Senior High Youth) and the Sonshine Singers (1st–8th grade children). Karen is a native of Littleton, graduate of Littleton High School, and holds a K-12 Degree in Music Education from the University of Northern Colorado. Karen, a life-long member of FPCL, has served as an Elder and Youth Director. She has been on the Music Ministry staff for over 17 years, and has inspired a new generation of musical talent at FPCL. 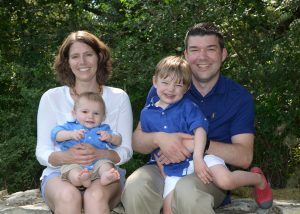 Several of the current Tintinnabulation Ringers are children of former Tintinnabulation Ringers, including Karen’s three children. Karen’s creative, positive leadership and inspiring arrangements add to the church’s holy seasons. 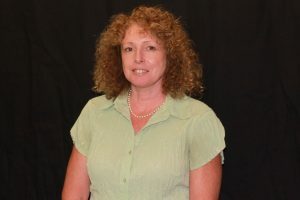 Karen is also the Music Teacher at Mark Hopkins Elementary School in Littleton, and would love to meet you! She believes that music brings more people to Christ than any other means, and feels very blessed to be at FPCL. As the Director of Children’s Ministry, Kate brings her passion for working with children and her love for God to the classroom as she offers the children at FPCL a welcoming and loving place where she encourages them to come into a personal relationship with Christ through honest exploration of His word, life application of the teachings in scripture, and a reflection of His love within their communities. Kate has been passionately drawn to working with children her entire life, and in the spring of 2018 traveled to Honduras to teach at a Christian school where she felt God calling her further into Children’s Ministry. She deeply treasures the curious and honest spirit of children and loves being part of their high-energy, magical world. Kate is a Colorado native, graduate of Arapahoe High School, and recently graduated from MSU Denver with a degree in Human Nutrition and Dietetics. 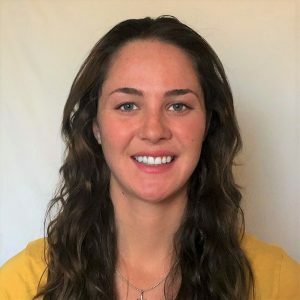 She is passionate about living an active and healthy lifestyle and enjoys cooking, spending time in the mountains, running, painting and drawing, and spending time with her family and friends. Elinor has worked in the non-profit world for over 20 years serving as a volunteer, tour guide, president of a non-profit and museum director. She has served as First Presbyterian Church of Littleton’s office administrator for seven years. She and her family moved to Colorado from San Diego in 1994. Joan has been the financial secretary for First Presbyterian Church in Littleton since 2013. 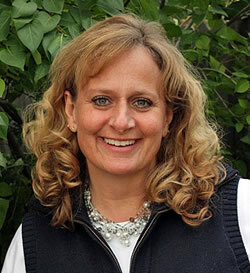 She’s been providing bookkeeping services for small businesses in Colorado for over 30 years. In 2009, she decided to put her skills to use for non-profits in the Denver area. She currently provides monthly financial reviews and statements for several Presbyterian churches as well as various other non-profit organizations and small businesses. Originally from northern Wisconsin, Joan and her husband Randy moved to Colorado in 1983. They love the natural beauty and active lifestyle provided by living in the foothills. Their two grown children still reside in the Denver area.